Web hosting in our economy must acknowledge that it is a buyer’s market. Even if you are restricting your options to inexpensive web hosting, say, under $12 per month, you have more potential candidate companies than you can list. Thus, you know that you can get it cheap, but ensure that you also get it good. With the number of web hosting companies out there, a compromise between cheap and quality can be obtained. The hard part is finding out who they are. Just about every web host has a pretty store front. What you want to know is what’s under the hood. Fortunately, there are a few ways you can find this out before committing any money and effort. It doesn’t take much to run your own web host: you can actually do it from your own home. Now it’s not the technology that’s hard to obtain, it’s the people who know how to explain it. 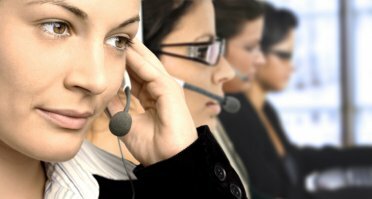 It may be surprising given how desperate so many people are for jobs, but the truth is that the entire IT world has a reputation for bad customer service, one which is unfortunately well-earned. To be fair, it’s not a problem which is restricted to the dot-coms, but there are certain truths about a web host’s existence that help feed this problem (for example, almost no support is face-to-face, leading to an “out of touch” psychological dynamic). If you want to find a web host with good tech support, send ones you are interested in an email with a question that’s a bit difficult and a touch complex, but still reasonable. Here’s an example: “I notice there’s a new version of PostgreSQL, which I use for my site. Do you plan on getting it?” Then, focus not just on the content of the answer they give you, but in how honest it sounds: that may sound difficult, but when you see several answers side-by-side, it’s not as hard as it might seem. Notice, for example, whether or not they address you by your name. It may be tempting to go with a flashier web site on the assumption that that must automatically make them experts. Don’t believe the hype. Being pretty is not the same as being functional. Look instead of how long they’ve been around. If they have at least ten years of consistent operation, then you can reasonably assured that it’s for a reason, and that they’ll be around tomorrow as well. This isn’t to say the newer web hosts are necessarily unreliable, it just means that you’re taking a bigger risk. Some features are worth more than others. Some are meant to sound exciting but really aren’t highly technical. Some hosts may offer you lots of email addresses for your domain name, but in reality this costs almost nothing to do. Better to get a user-friendly control panel or good spam protection. In truth, really bad web hosting is hard to come by, but you still don’t want to prove it still exists. Use some simple litmus tests, and you should have no problem having it not just good or cheap, but good and cheap.